Picture this: A picket fence with faux grass leading to a quaint little shop that smells of coffee as soon as you enter, with flavours to boggle the mind. That’s The Espresso Cup for you; a coffee shop in Bandra that boasts of enough caffeine to keep you running the entire day. We’re not kidding. One sip of their stronger brews is enough to add that silly grin to your face as you continue pacing about, finishing your day’s work. Using freshly roasted coffee beans, only the Blue Tokai variety mind you, they serve all varieties of coffee here. 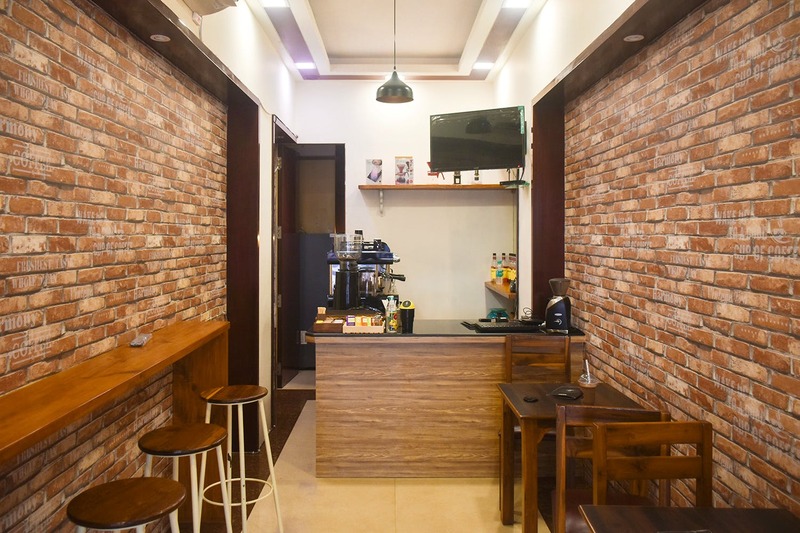 Their hot brews consist of the usuals – Americano, cappuccino, lattes and hot mocha, but they also have some interesting options like the hazelnut hot chocolate and the hot vanilla. They also serve hot black coffees that are aeropressed or poured over. A small section in the menu is dedicated to tea lovers, where you can take your pick from a hot Assam chai, a chamomile tea, English breakfast, green tea or masala chai. What we’ve loved is that they have 3 milk options for you to pick from – lactose-free, soya and almond. Another unique flavour you shouldn’t miss out on is the banana and cheese shake. If that doesn’t float your boat, opt for their banana and caramel shake. They serve summer coolers if you’re in the mood for something light, and even serve brownies and cookies (Belgium chocolate & sea salt; oat & honey; country style and chocolate chunk). We’ve spent our mornings here, juggling work and a great coffee in each hand, and we know that it’ll be awesome if you just want to sit and read in a corner and sip on your favourite cuppa Joe. Either way, it’s cosy, comforting and the staff is beyond helpful (Swati takes time out to help you pick a brew based on your mood). We’ve made it our second home; so come on over and pay us a visit!